Welcome to the new site. We are very proud of the tuition and facilities that we provide. Please browse the site and contact us via details on the ‘Contact Us’ page for any further information. Congratulations to Matthew Buswell a former pupil of The Christine Sumner Academy who is now on the Young Artistst programme at Lyon Opera, France. Congratulations to all who took part in the Leamington Competitive Vocal Festival June 2018. We returned with- 7 1sts. 9 2nds.and 8 3rds. Excellent singing and presentation. 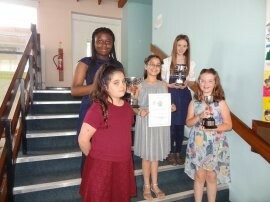 Congratulations to Megan Reed named as the Outstanding Young Singer. Congratulations to Cantabile Youth Choir-5th in the World at the Llangollen International Musical Eisteddfod 2016. 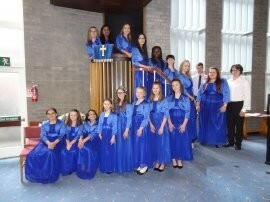 Go to www.cantabileyouthchoir.co.uk to hear them. What a fantastic concert on Saturday July 7th 2018 - the 21st Annual Concert. Excellent piano solos and duets alongside vocal solos and Cantabile Youth-Junior Choirs and Ensemble. Congratulations to all who won awards from the 8 year olds to the 18 year olds.Special mention to Megan Reed and Anya Prabhakar who were named Most Promising Singer and Pianist respectively. Congratulations to: Amie Lyon: Claire Kerrigan:Tara Marashi:Carmela Chabala: Camille Smith: Naomi King: Coen Dalby: Isabella Jones: Molly Chambers. All passed exams this Summer 2018 with Distinction. Congratulations to Cantabile Youth Choir on being one of only 4 Youth Choirs in the whole of the UK to make the final at 'The Choir of the Year 2014' competition. Congratulations to Cantabile Youth Choir on becoming the North Wales Choral Festival Youth Champions 2014. Cantabile Youth and Junior Choirs and pupils of the Christine Sumner Academy of Music will perform a wide variety of choral/duets and vocal solo items. Friday 10th May - Sunday 12th May- Chester Competitive Music Festival. 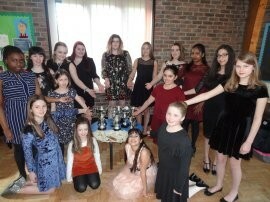 On Saturday 11th May pupils from the Christine Sumner Academy of Music will compete in vocal solo and duet classes. Saturday 8th June- Leamington Competitive Music Festival- pupils from the Christine Sumner Academy of Music will compete in vocal solo and duet classes. Saturday 6th July 7pm - Annual Concert at Nuneaton Methodist Church, Abbey Street, Nuneaton CV11 5BX. Cantabile Youth and Junior Choirs and all pupils of the Christine Sumner Academy of Music will perform a wide variety of vocal choral/solos and piano items.